MK Bezalel Smotrich's Twitter account suspended after he wrote that Arab teen Ahed Tamimi should have been shot in the kneecap. Twitter on Monday suspended the account of MK Bezalel Smotrich (Jewish Home) after he wrote that Ahed Tamimi, the Palestinian Arab teen who was filmed slapping an Israeli soldier in the village of Nabi Saleh, should have been shot in the kneecap. 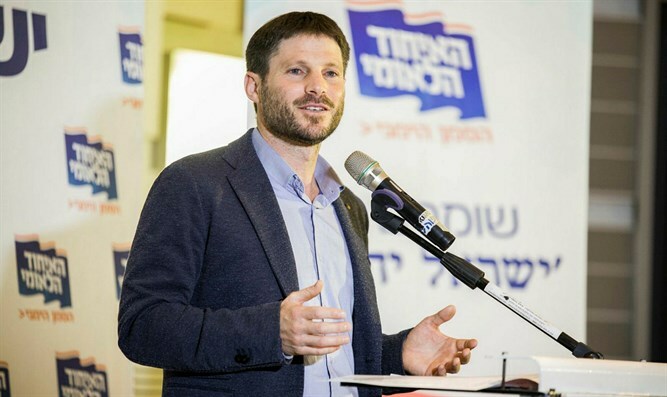 "A new record of silencing," Smotrich said in response to his account being suspended. "Apparently freedom of speech is reserved only for one side of the political map. I stand behind every word of this tweet and the explanation for it was written extensively on my Facebook page yesterday." Smotrich’s account was suspended after he responded to a video shared by former MK and journalist Yinon Magal on Twitter. Smotrich wrote in response that "in my opinion, she should have gotten a bullet, at least in the kneecap. That would have put her under house arrest for life." 17-year-old Tamimi was sentenced last month to eight months' imprisonment in practice and fined 5,000 shekels as part of a plea bargain. MK Michal Rozin (Meretz) blasted Smotrich for his tweet and wrote, "Shame on you! Should the hilltop youths from Samaria who threw rocks at an IDF force last week also been shot? Oh, I forgot. There is a different law for enemies..."